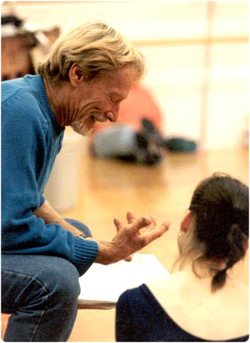 WALLA WALLA, Wash.-- The Whitman College Summer Dance Lab will present a tribute to its founder, the late Charles Bennett, Friday, July 28, on the Whitman campus. SDL commemorates its 35th anniversary and Bennett’s memory by “Celebrating the Legacy of Charles Bennett” at 7 p.m. in Cordiner Hall. Tickets, $15 each, are available at the Whitman College Bookstore, Earthlight Books and at the door. Baker Boyer Bank and Alexandra Communications will sponsor a complimentary wine tasting and hors d’oeuvres reception in Reid Campus Center after the presentation. A ticket stub is required for admission. Summer Dance Lab consists of two-, three- and five-week intensive programs for young people 12 and older. Each focuses on developing well-rounded dancers who have the proper depth of training and experience to be successful in the dance world. The program was created by Bennett, a renowned dancer, choreographer and director, and a special element of the lab is the opportunity for students to perform each summer with the SDL faculty and guest artists in a gala event open to the Walla Walla community. This year’s presentation will include excerpts from Bennett’s macabre ballet, “Dracula,” which will open the program. “Dracula” had its world premiere in 1987 by the California Dance Company with the role of Lucy expressly created for current SDL associate director Denise Dabrowski, who will dance the role in this production, also. Dabrowski will be joined by SDL director John Passafiume as Dracula; Idalee Hutson-Fish, an SDL alum and Walla Walla dance instructor; and six SDL students as Dracula’s brides. “For Flora, With Love,” a ballet set to the music of Johann Strauss, will feature principal guest artists Jennifer Martin, SDL faculty and soloist with Western Ballet Theater; Ashley Akacich of the California Ballet; Walla Walla native Peter De Grasse, SDL alumnus and faculty member; and 14 of SDL’s students. In addition, Passafiume will present “Changes,” a score by Kristen Vining-Stauffer, SDL composer and accompanist. This piece will feature guest artists, faculty and eight SDL students. The romantic balcony pas de deux from Toni Pimble’s Romeo and Juliet and the bravura Grand Pas Classique will also be presented.